After purchasing books, you can pay by Visa / Net Banking using our secure payment gateway of CCAvenue. After purchasing books, you can pay by Visa / Master Card using our secure payment gateway of Paypal . Note:Payments will be deposited to "MyVishwa" account and same name will be displayed on your card statement. You can also pay directly through your internet banking enabled bank account. 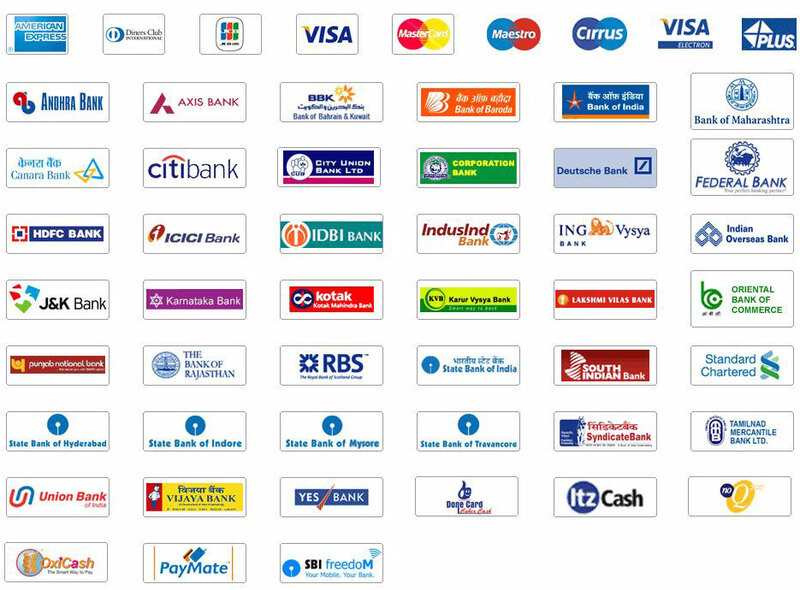 Currently you can transfer fund from following Indian banks.